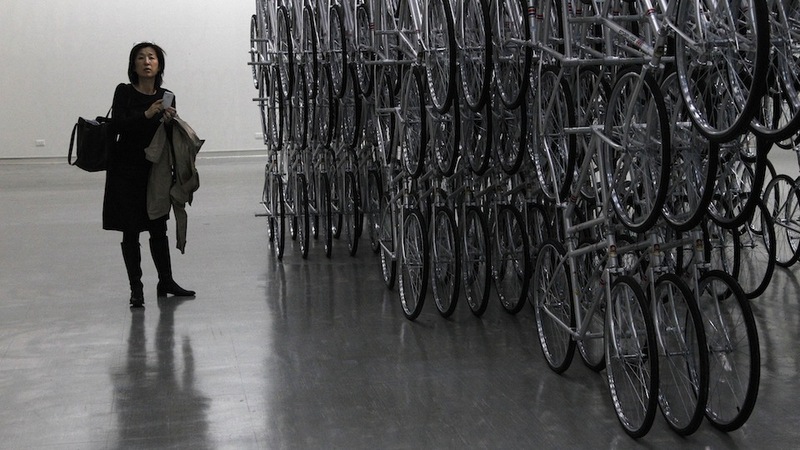 China’s celebrated and oft-persecuted Ai Weiwei has a new work on display in Taiwan named “Forever Bicycles.” The piece features thousands of bicycles welded together and is a reflection of Ai Wei Wei’s perception of the rapid pace of China’s social change. The piece is part of Absent, a three-month exhibition at Taipei’s Fine Arts Museum which has 21 works on show, including a photograph of a person’s arm making an obscene gesture in Beijing’s Tiananmen Square. 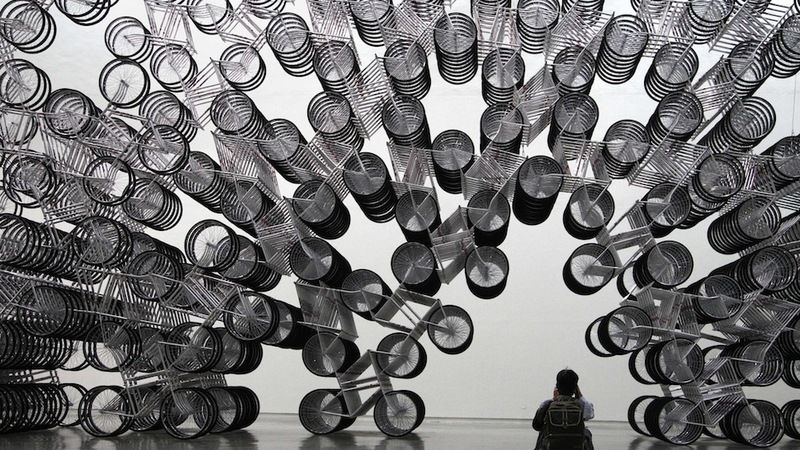 The name of the exhibition is fitting in that Ai Weiwei himself is not allowed to attend. Earlier this year Ai Weiwei was suddenly imprisoned by the Chinese government for 81 days, which his family claims was a punitive measure for the artist’s outspoken criticism of censorship and Communist party controls. He has since been released (perhaps in response to the international outcry his detention provoked) but remains under close watch and is forbidden to travel. I must say that I respect the man’s irrepressible spirit and his determination to continue producing provocative art in spite of what must be incredible pressure by the Chinese authorities. Thanks to my friend Imelda Suriato for pointing me to this.